Send holiday cheer! 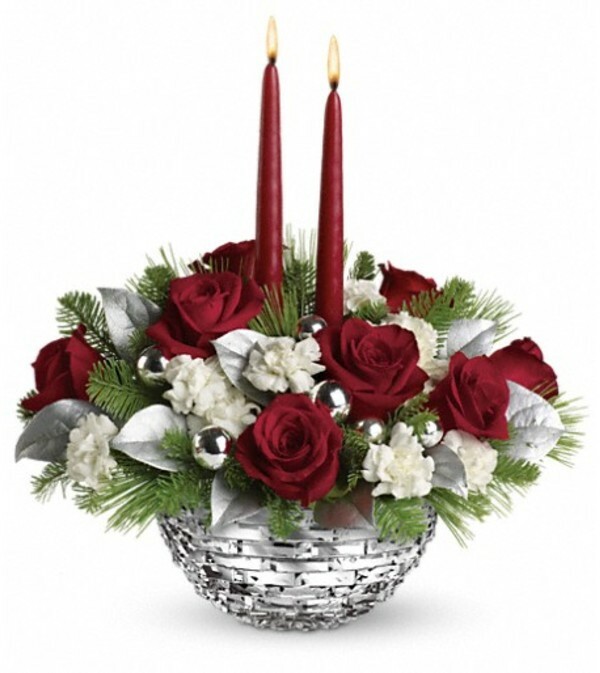 Red roses and white miniature carnations are arranged in our sparkling hand-polished glass bowl to create this stunning holiday centerpiece. 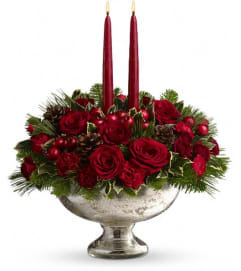 Red roses, white miniature carnations, lemon leaf and tips of white pine and noble fir are adorned with festive silver balls and red candles. 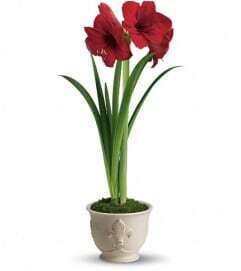 Delivered in a Sparkle of Christmas glass bowl.